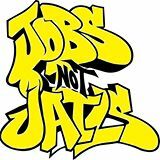 Join the Youth Jobs Coalitionand Jobs Not Jails for theYouth Jobs Rally on Thursday, February 19 at 11:00am! 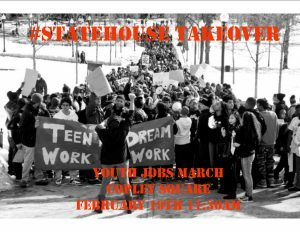 Join over 1,000+ young people in solidarity as they march from Old South Church in Copley Square, Boston and then proceed to the Statehouse. Once at the State House, there will be a rally and a meeting to prep you for meeting with your state legislators after which you will meet with your state legislators.